Light carries momentum, and hence can apply optical forces. A laser pointer applies radiation pressure on a screen, but is too small to be noticed. However, optical forces become important at the micro/nanoscale, and optical tweezers are devices that utilize optical forces to manipulate micro/nanoscale particles as well as apply and measure piconewton-level forces. In this talk, I will discuss the recent progress on development of fiber based optical tweezers in my group. Different from traditional optical tweezers that are based on objective lenses, fiber optical tweezers can create optical traps at the tips of optical fibers. Fiber optical tweezers have the advantages of low cost, small footprint, and being able to work anywhere in a solution. Recently, we developed an optical fiber based detection mechanism that enables the trapped particle position to be monitored at 2-nm spatial resolution and 100 MHz bandwidth, without the need of an objective lens or high-speed camera. Combined with the fiber based detection, our fiber optical tweezers can create the trap and measure forces and displacements without the need of an objective and outside a lab environment. We are working towards a compact, modular fiber optical tweezers platform that can be used by users who are not familiar with the system setup. The seminar will present the application of fiber optical trapping systems in cell mechanics, microrheology, and optomechanical coupling between the optical fibers and trapped particles. 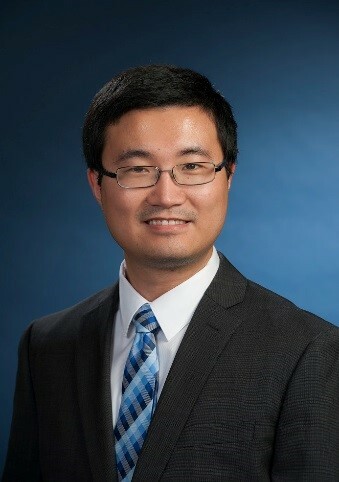 Yuxiang (Shawn) Liu is an assistant professor in Mechanical Engineering, who joined WPI in 2013. He received a Ph.D. in Mechanical Engineering from University of Maryland, College Park in 2011. Before joining WPI, Yuxiang Liu worked as a postdoctoral researcher in Purdue University in 2011. He worked at National Institute of Standards and Technology (NIST) as a NIST-ARRA fellow from 2011 to 2013. His research interests include fiber based optical trapping, silicon nanomechanics and nanophotonics, optofluidics, fiber optical sensors, bioinspired soft robotics, and cell mechanics. His research has been published on journals including Nature Nanotechnology, Physical Review Letters, Optica, Optics Letters, and Biomedical Optics Express.